The Church of the Tithes or Church of the Dormition of the Virgin was the first stone church in Kiev. Originally it was built by the order of Grand Prince Vladimir (Volodymyr) the Great between 989 and 996 by Byzantine and local workers at the site of death of martyrs Theodor the Varangian and his son Johann. 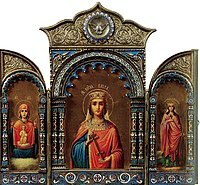 It was originally named the "Church of Our Lady", in honor of the Dormition of the Theotokos. 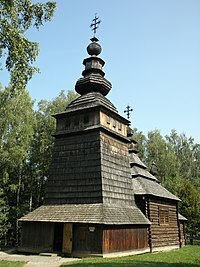 The church was ruined in 1240 during the siege of Kiev by Mongol armies of Batu Khan. St Volodymyr's Cathedral is a cathedral in the centre of Kiev. It is one of the city's major landmarks and the mother cathedral of the Ukrainian Orthodox Church - Kiev Patriarchy, one of two major Ukrainian Orthodox Churches. 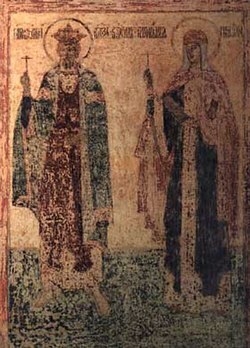 Malusha Malkovna was allegedly a servant (kholopka) for Olga of Kiev and wife of Sviatoslav I of Kiev. According to Slavonic chronicles, she was the mother of Vladimir the Great and sister of Dobrynya. 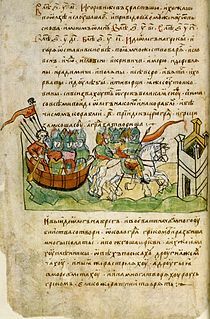 The Norse sagas describe Vladimir's mother as a prophetess who lived to the age of 100 and was brought from her cave to the palace to predict the future. Malusha monuments in Korosten, Ukraine, with her young son Vladimir. The poliudie was the process of gathering tribute by the rulers of Kievan Rus' from vassal East Slavic tribes. 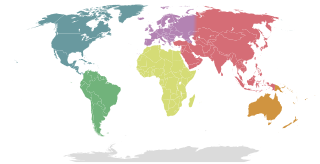 The Principality of Pereyaslavl was a regional principality of Kievan Rus' from the end of 9th century until 1323, based in the city of Pereyaslavl on the Trubizh River.